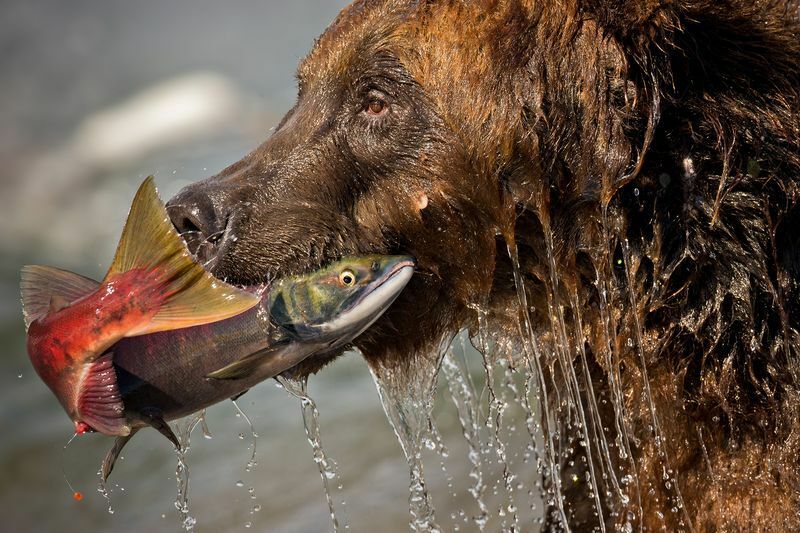 A brown bear catches a salmon in its mouth while hunting for food in Russia’s Kurile Lake. The lake, located in a volcanic crater, is host to one of the largest salmon spawns in Asia. 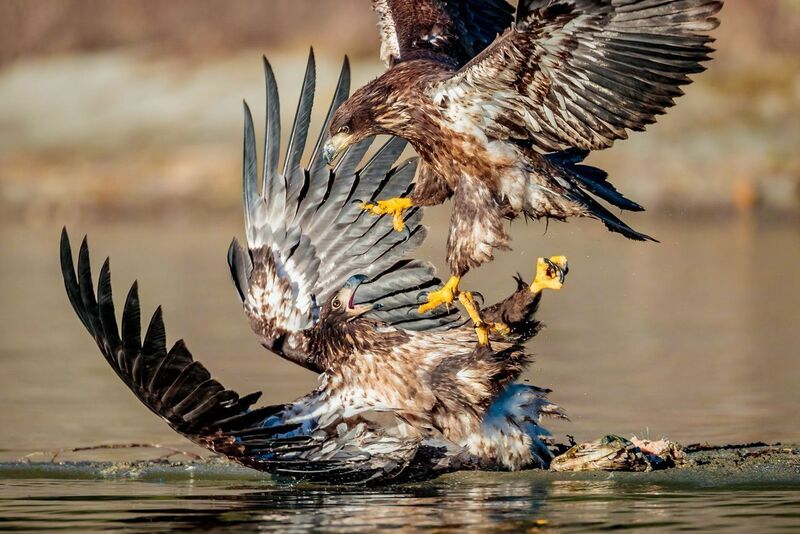 A brown bear catches a salmon in its mouth while hunting for food in Russia’s Kurile Lake. The lake, located in a volcanic crater, is host to one of the largest salmon spawns in Europe. 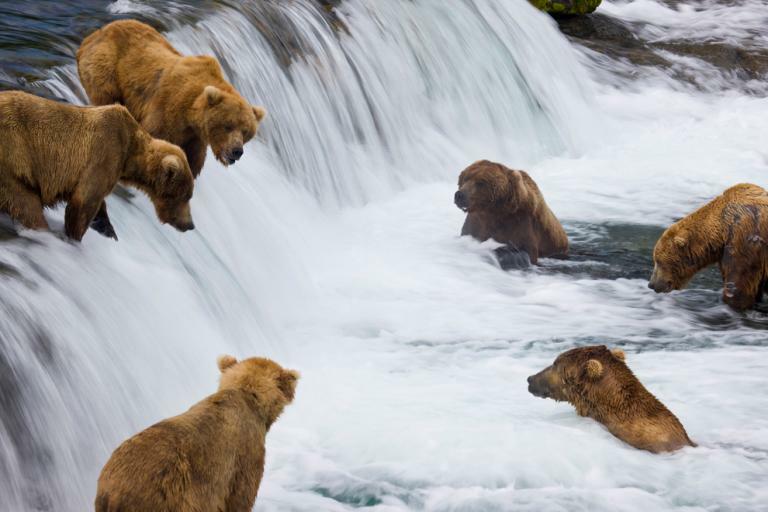 Here, brown bears wait for sockeye salmon to jump at Brooks Falls in Alaska’s Katmai National Park and Preserve. Fish in the park sustain a sizable number of bears—up to 2,000.